holiday weekend. Exhausted and disheartened, we tried to hail the very infrequent taxis, to no avail. 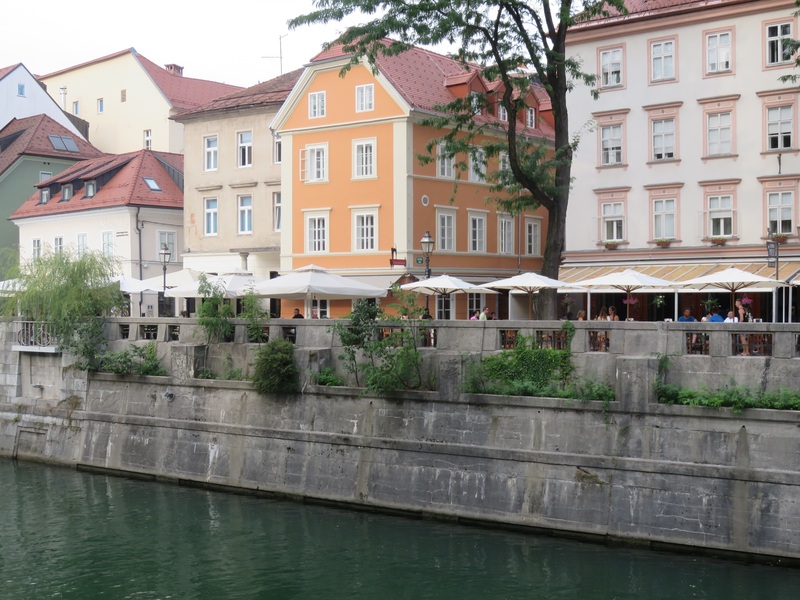 The best thing about Slovenia is that almost everyone speaks English and eventually a helpful hotel barmaid called up a taxi which deposited us in Breg, the pedestrian street alongside the Ljubljanska river. By now it was quite dark and we had been instructed to buzz Ruk at the entrance to our apartment. We looked up at the old building, with the heavy wooden door, with the great brass handle, as a voice from above answered our ring and let us in. The dark stone corridor smelt musty and felt cold. A wide and ancient pine staircase emerged out of the gloom to our right. Finding the light switch, we climbed up two flights. 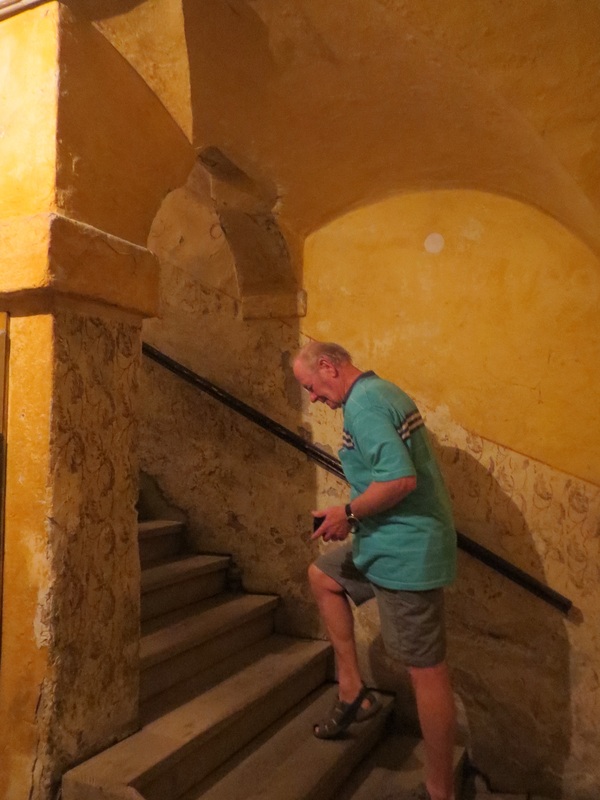 The landing was poorly lit, with crumbling walls and an ancient water basin and dripping tap. Where had we come? ‘It’s another flight’ came the voice from above, as we staggered upwards with our bags. And here was Ruk, a happy, broad faced character who let us into a simple but light and spacious studio apartment, looking down on the river and the lights below. Finally we had arrived! It was a cup of tea and sleep, as classical music wafted across the river. 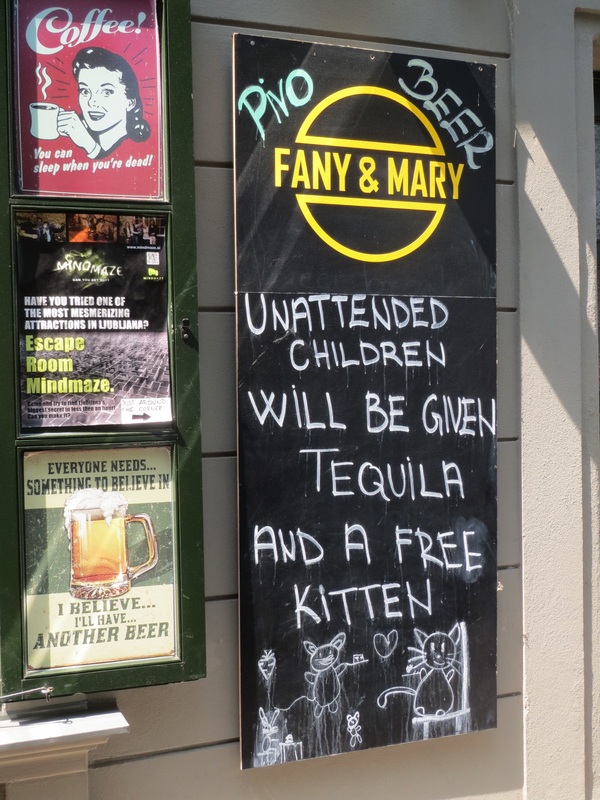 Ljubljana has a great charm. Its Baroque buildings hark back to the influence of the Austrian Hapsburgs, with virtually no evidence that the former Yugoslavia imposed any ugly communist buildings on the city, at all. 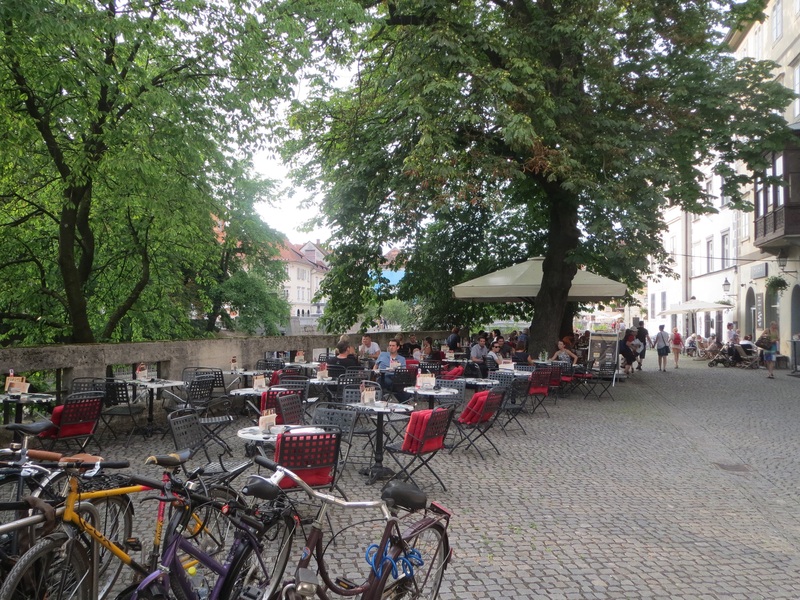 As a university city, it’s cobbled stoned streets are filled with young people cycling and drinking coffee or beer along the riverside. In the summer, the chestnut and willow trees loop over the stone facades, as the river meanders through the city and riverboats ply up and down. Philharmonicorum was established in 1701, one of the world’s oldest musical Institutions, whose honorary members included Paganini, Beethoven, Haydn, Brahms and Mahler. The building stands next to the Ljubljana University, overlooked by the Ljubljana Castle. 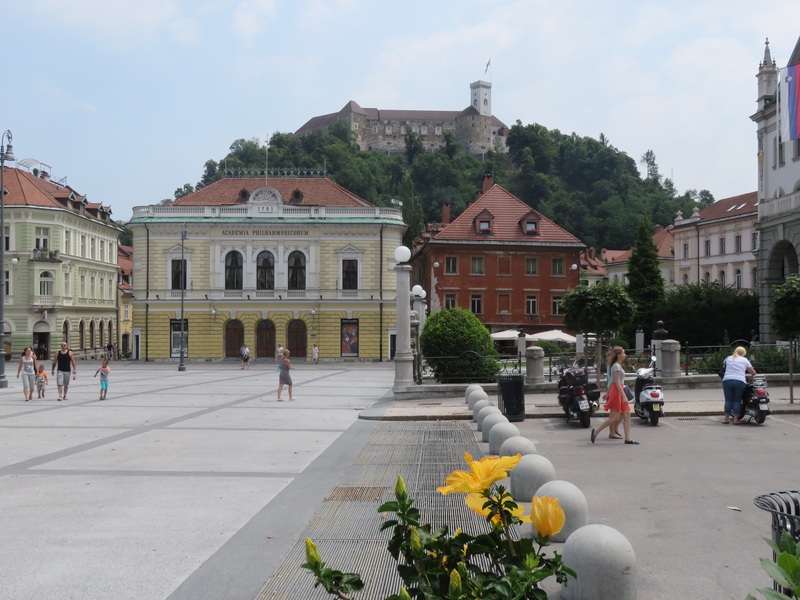 The castle as a fortress managed to repel the Ottomans, so Slovenia has remained a largely Catholic country. 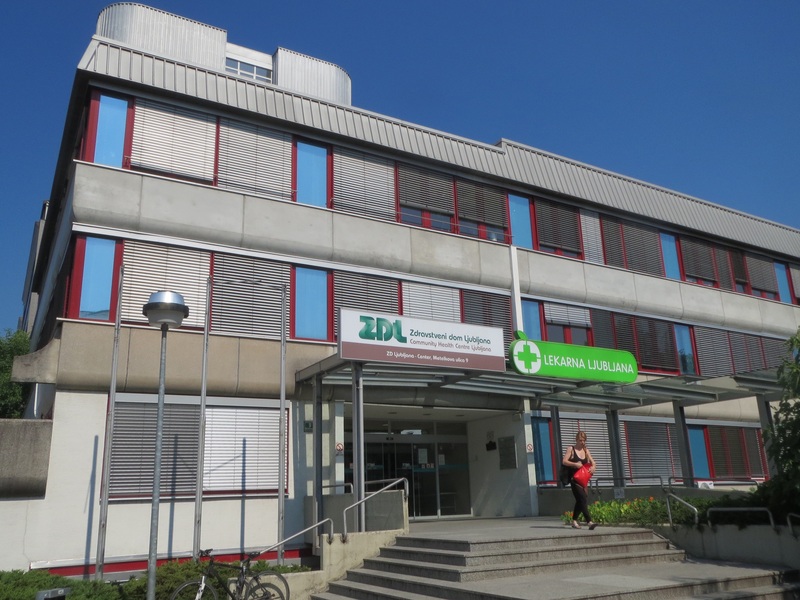 While in Ljubljana we had the opportunity to sample the Slovenian socialised health system. A nasty respiratory infection with persistent fevers is not something that augurs well for travellers. Turning up at 6pm at the Community Health Clinic, the patient in question was asked to produce some photo Identification, was then sent up one flight of stairs to pathology for a blood test and within an hour was seen by a general practitioner. All this including a chest X-ray cost the equivalent of €30, plus the assurance that no pneumonia was present. 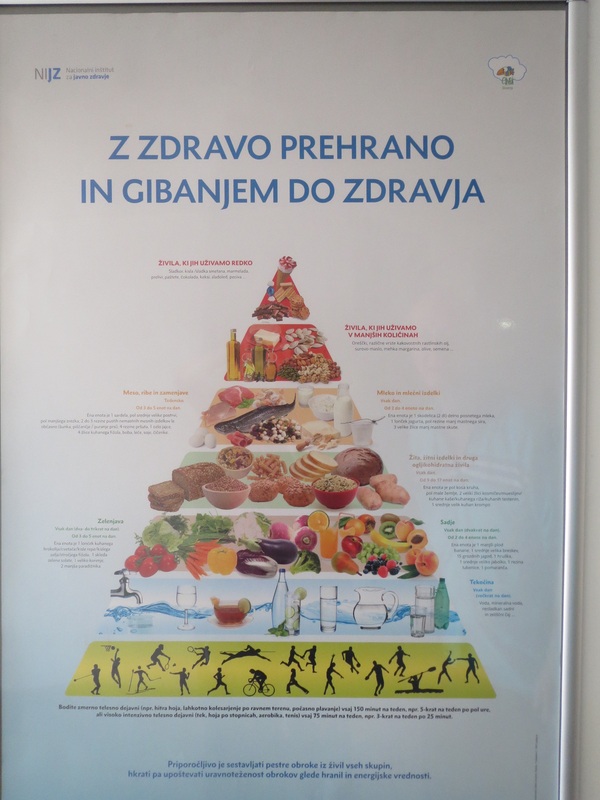 On the way out, an excellent healthy food/diet pyramid caught our eyes, with the bottom level devoted to increasing exercise. 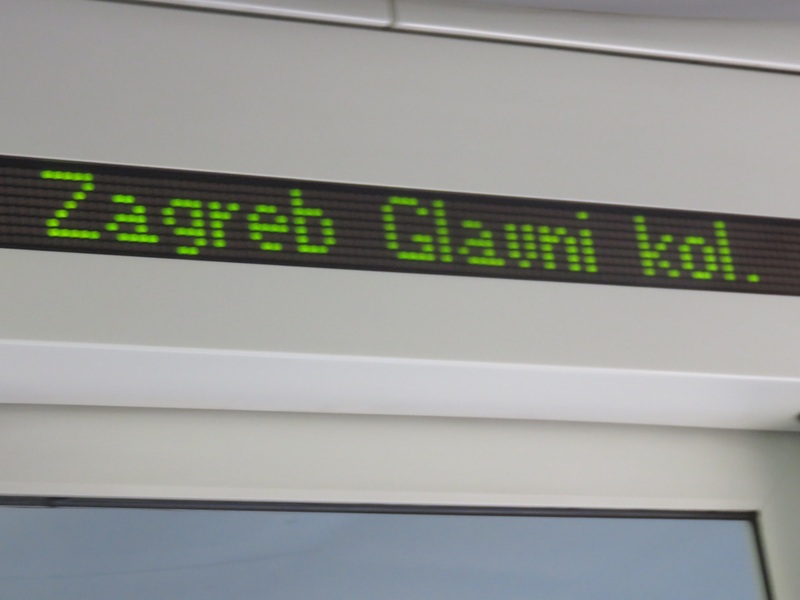 Well done, Slovenia. 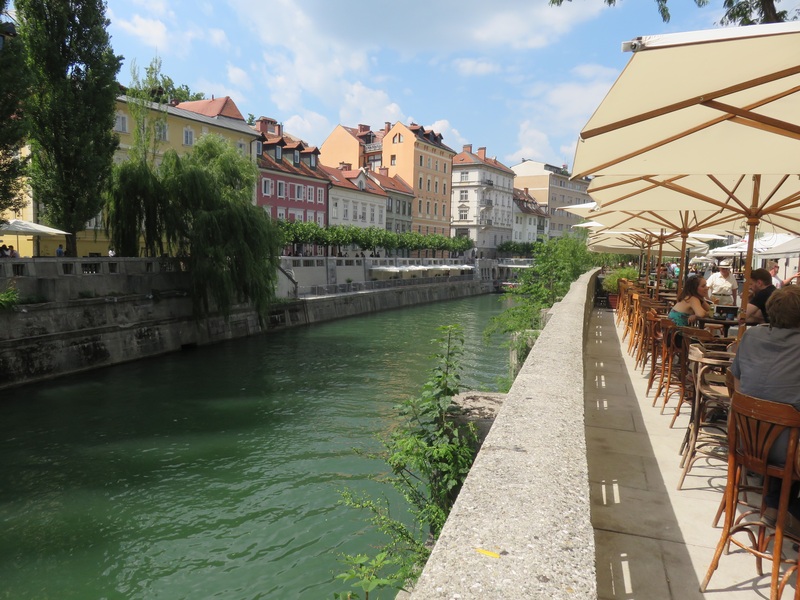 We left Ljubljana sweltering in 34+ degrees Celsius but that did not dampen the spirits of the happy crowds along the river or the delightful Slovenian sense of humour.